VIEW 3 is an optical fiber splicing device with a brand new design. With powerful functions and super low splicing loss, it is highly competent for construction of trunk lines and FTTx. Lightweight and compact, it is easy to use even in confined space. The novel fiber imaging system makes the image clearer. 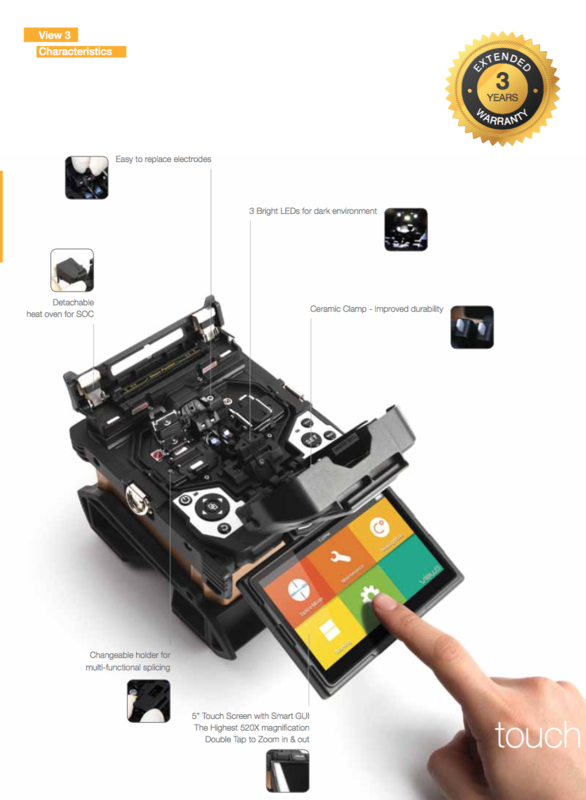 The real-time embedded operating system provides a friendly man-machine interface and abundant functions. The built-in large capacity Li-Ion battery can support long-time field work. The real-time compensation system for temperature, humidity and air pressure has greatly enhanced the device against unfavorable environment changes and thus guarantees its consistency of low loss splicing in various environments.